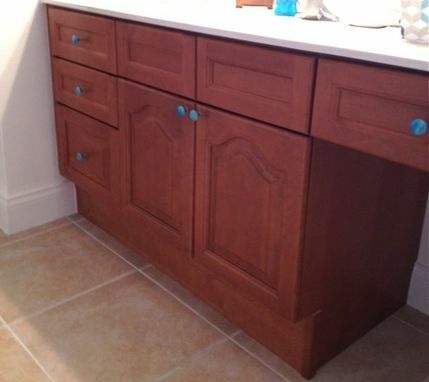 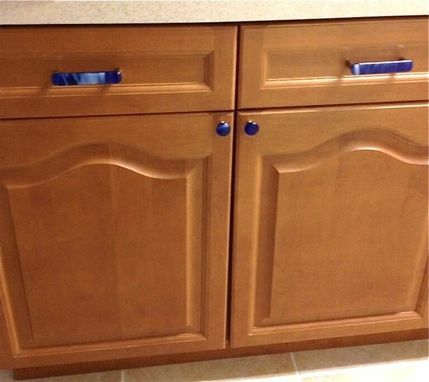 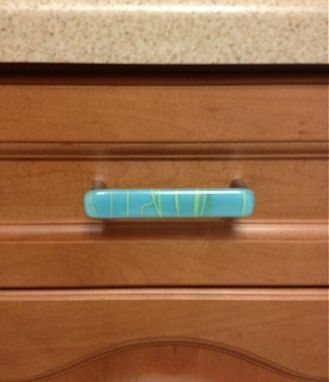 Bored with the way your kitchen drawers or bedroom cabinets look? 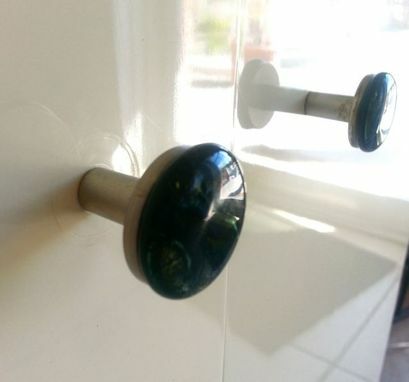 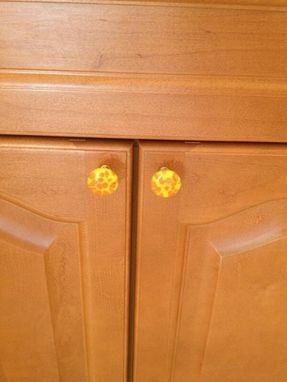 Our cabinet knobs and pulls are an easy and inexpensive way to jazz up staid or plain cupboard doors and the like , all you need is a screwdriver and possibly a drill. 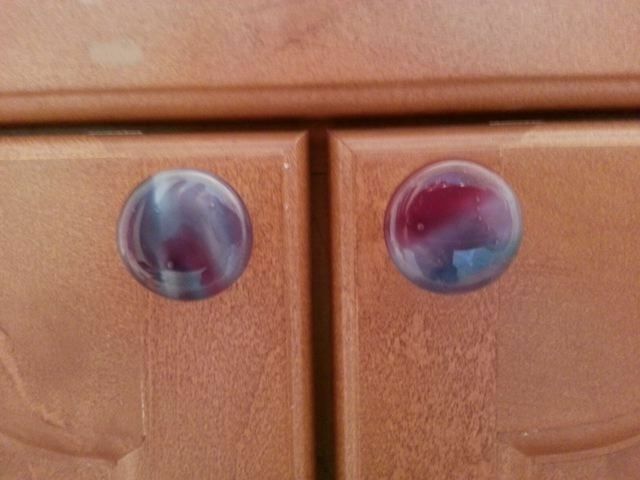 These pulls and knobs come in shapes such as your basic round or rectangular handles, but they can lend a lot of oomph to your living and working spaces because of the color and one-of-a-kind striations in the glass we use.